TC CIS Knowledge BaseWeb Conferencing and Voice CommunicationsZoom Pro Meetings through the TC PortalHow to add an Alternative Host through the TC Portal. 2. 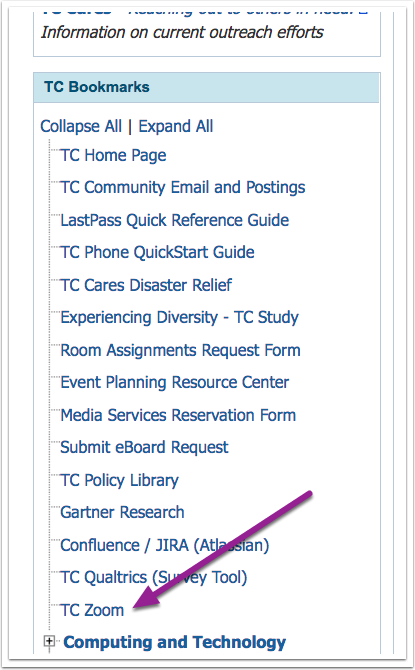 Under TC Bookmarks click TCZoom. 3. Click Meeting in the side navigation. 4. 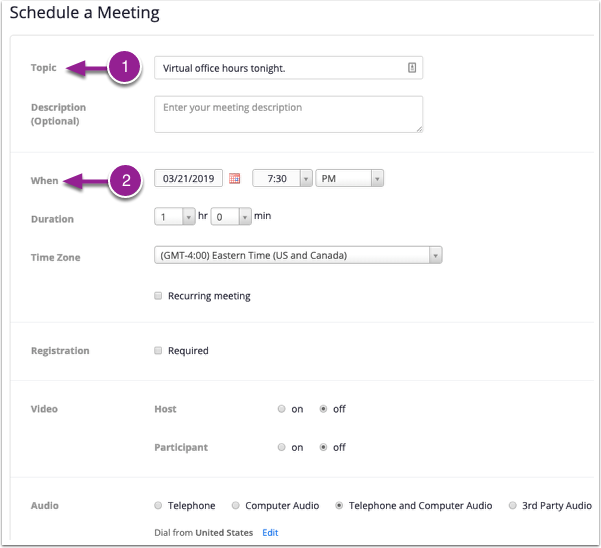 Click Schedule a New Meeting. 5. 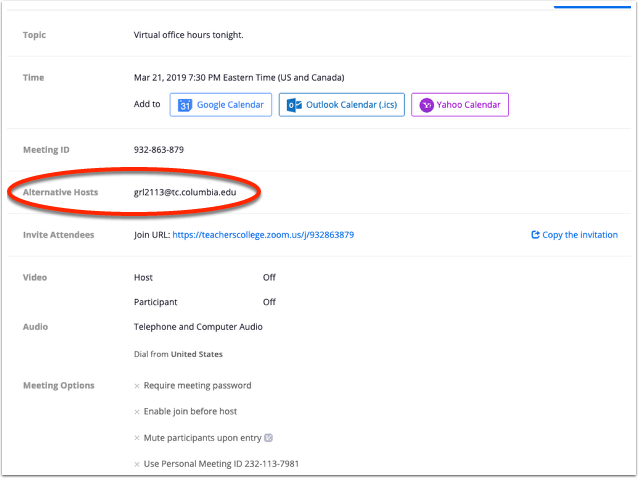 Add your Meeting title and date. 6. At the bottom of the page in the box next to Alternative hosts enter the email address of who you would like to add as an alternative host and click Save. 7. 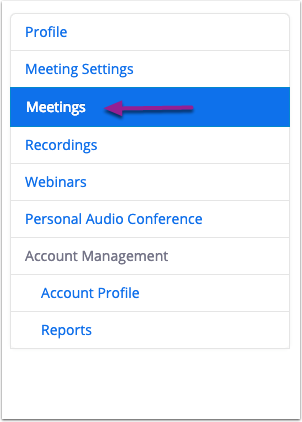 Your meeting will be created and alternative hosts listed.